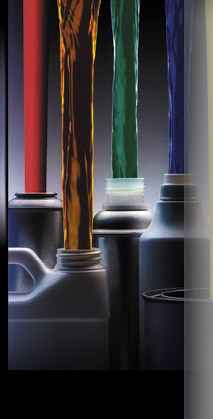 From air filter oil to synthetic fork fluids, we have the best reputation for superior quality in the development, manufacturing, and packaging of products for this industry. If a commercially available product is not working to your satisfaction, our chemists can develop a new formula for a product that will. We can also manufacture or package it for you. Here are just a few of the kinds of products we develop, manufacture, and package for use in the motor sport industry. 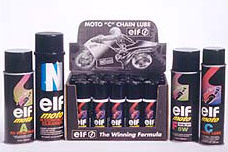 Elf has been a valued client since 1987. We manufacture as well as contract package their line of contact cleaners, air filter oils, chain lubes and synethetic fork fluids. "We presented Schafco with challenging technical considerations on an important aerosol packaging project. They successfully switched us to a non-aerosol system, and worked us through the change. Great customer service!"